I had forgotten about that sky. So blue, so clear. Day after day the clouds stayed away, perhaps finding somewhere cooler. For the neverending azure blanket that lit up the city but also brought an oppressive heat. I was reminded of summer in Athens when I was looking through some photos of a trip there last summer. Around every corner was another ruin, usually an ancient one. And sadly, because of current economic conditions, quite often a modern one too. But each is rich with stories of history and culture. 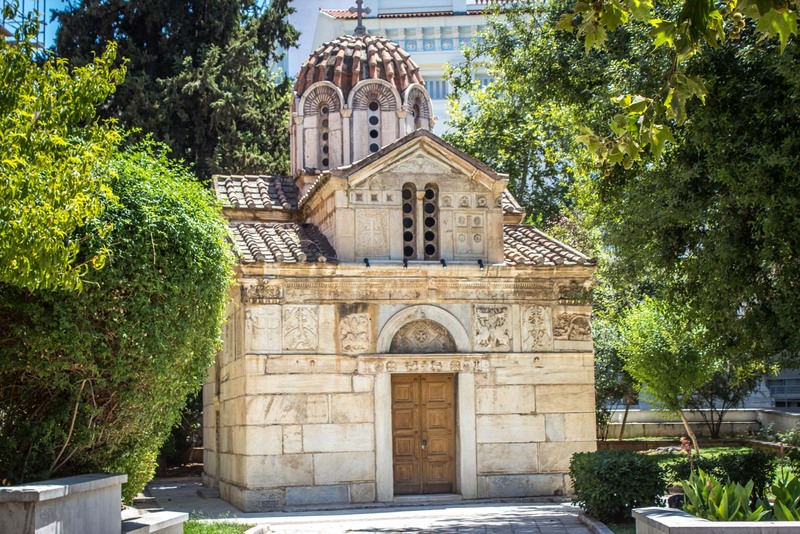 A self-guided walking tour through Athens need only take a few hours (everything is so close to each other) but it can take you through millennia of human civilization. It seems like a good time to share some of the photos I took there which I haven’t done anything with. I have no other plans for them and it would be a shame not to publish them somewhere. 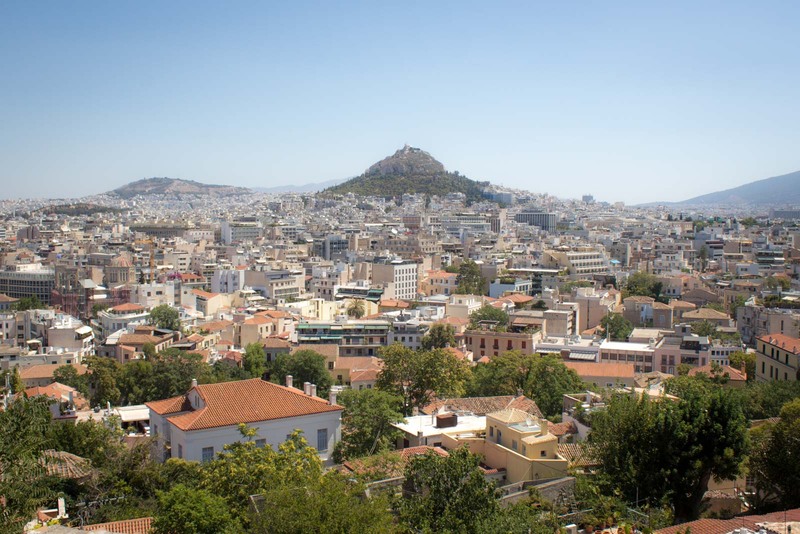 If you’ve never been there, I hope this gives you a bit of a sense of Athens: the imposing buildings, the fascinating archaeological sites, and the richness of the people. If you have been, I hope this brings back the same kind of happy memories it did when I rediscovered the images in my archive. I don’t know how it’s possible I haven’t visited Greece yet! Your pics make me wanna go there right away! 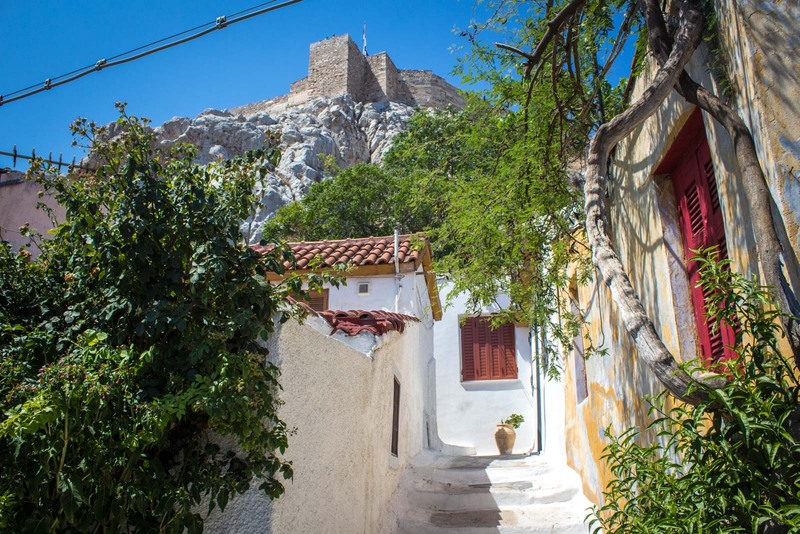 The hardest thing about Greece is knowing what to do there… do you go to an island, explore Athens, venture out to the ruins in the countryside. 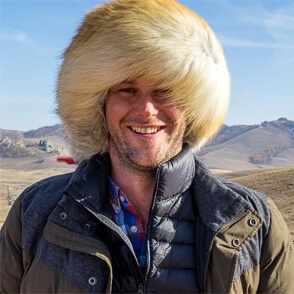 There’s just too much! Great pics…as an Olympics junkie, Athens is high on my list. You would love it there, as an Olympics junkie. Although probably not as much as Olympia. That is a really cool place! Great photos of Athens. Such a historical and breathtaking place. A must place to visit. Thanks for these brilliant photos. Thanks, Shalu. I’m so pleased you stopped by and enjoyed them. Unfortunately I didn’t have the pleasure to visit Greece, and your post really shows me how much I missed so far, by not including Greece in my travel itinerary. I hope in the future I will have the possibility to rectify this oversight. Great pics! Athens is one of the places I’d really want to explore because of the amazing structures from the past..
It’s a bit weird how you can walk through parts of the city and there are just ruins from thousands of years ago there. And everyone’s all casual and “oh yeah, those old things” and I’m all like “oh my god, it’s another temple to Zeus or someone!”. I wish I knew a bit more about classical history when I was there. It’s one thing to look at the interesting ruins and take a few photos… but it’s a whole other thing to understand how it all fits in to the context of history. We’ve been to Greece, but not to Athens. Yet…I love Greek mythology, so visiting the ancient ruins in Athens is high on my list. You’ll love it there then. It’s all about mythology… and cheap, tasty food. Oh, the food.. I really want to go to Athens. We have yet to go to Greece and each post I see from you, makes me yearn to see it. I love the first photo of the women, Are they street performers? Yeah, they’re street performers but they’re on a break here. I thought I would try to catch a candid moment while they rested in the shade. I was also struck by the blue of the sky in Greece. Delicious. And what a contrast to the skies spotted in my recent voyages to China and India! Ha ha – yeah, China has no hope of getting anything close to this. Not that many places would, at least not day after day like in Greece. Neat pictures. Athens is ok, but I was more than happy to leave after only one full day in the city. The islands and some of the sites elswhere on the mainland like Meteora and Delphi are far more fascinating for me. The islands especially! Ah, see, so many people say that Athens is only worth a day but I disagree completely. It’s not just the ruins – it’s the food, the bars, the cafes and the fun atmosphere. I do agree that there are some very interesting things outside the capital, like Delphi, but I much prefer Athens over the big and busy tourist islands. I really want to go to Athens. We have yet to go to Greece and each post I see from you, makes me yearn to see it. It’s a great city – don’t believe anyone who tries to tell you otherwise!! The last time I was in Athens it was July 2007 and they had a heat wave going on. Never seen a bluer sky like I did those few days in Athens. I had checked out the “Changing of the Guard” and took a photo of Parliament like you did, so that put a nice smile on my face. Did you get many photos within Plaka, though? It’s by far my favourite section of Athens since it is so colourful and right below the Acropolis.